People crave guaranteed income in retirement. The 3rd Annual Guaranteed Lifetime Income Study by Greenwald & Associates and CANNEX found that six in 10 people 55 and older place a high value on having guaranteed income to supplement Social Security in retirement. Among the benefits those surveyed say extra assured income offers: protection against outliving your savings, peace of mind and greater assurance you’ll be able to maintain your lifestyle in retirement. So why then are so many retirees reluctant to invest their savings in annuities, investments that can provide such income? The short answer: They’re put off by annuities’ complexity and cost. I would put the results of this study into the “I’m not surprised at all” category. For more than 30 years I’ve been writing about annuities and fielding readers’ questions about them for much of that time. So I can personally attest that when it comes to annuities most people are (pick a word): confused, flummoxed, misinformed, mystified, baffled, bewildered, totally lost…you get the idea. And who can blame them. Some annuities seem almost designed to resist the normal human capacity for understanding, whether it’s variable annuities with their perplexing panoply of fees (mortality and expense, investment management, death benefit and living benefit fees, surrender charges, etc.) or fixed index annuities with their arcane formulas for calculating returns (monthly or annual “point to point,” the averaging method, caps and spreads). Fortunately, there’s an easy way to get the upside that annuities can offer while sidestepping the complexity and onerous fees. Stick to annuities that eschew expensive bells and whistles and focus instead on what annuities do best: provide reliable income that you can’t outlive. In short, opt for annuities that keep it simple (or at least in the case of annuities, relatively simple). There are two types of annuities that fit this description: immediate annuities and longevity annuities. With an immediate annuity, you hand over a lump sum to an insurance company in return for monthly payments that will begin immediately (hence the name, immediate annuity) and that will continue the rest of your life, no matter how long that may be. Today, for example, a 65-year-0ld man putting $100,000 into an immediate annuity would receive about $560 a month for life. A 65-year-old woman would get about $530 a month, while a 65-year-0ld man-and-woman couple investing $100,000 could count on a monthly payment of about $470 as long as either one is alive. A longevity annuity works on the same principle—you give the insurer a sum of money in return for guaranteed lifetime payments—except that instead of starting immediately, the payments begin at some point in the future, say, 10 to 20 years down the road. So, for example, a 65-year-old man who invests $50,000 in a longevity annuity that will begin making payments in 20 years would receive just under $2,000 a month for life starting at age 85, while a woman and man-and-woman couple would receive about $1,600 and $1,125 respectively. The point of a longevity annuity isn’t to generate income for the present. Rather, it allows you to feel more secure about spending from your nest egg early in retirement since you know that even if your savings run low you’ll have those longevity annuity payments kicking in later on. What’s appealing about both these types of annuities is that they’re pretty straightforward. You know what you’re giving up, and you know what you’re getting in return. What’s more, the fact that you’re turning over a lump sum for a fixed monthly payment makes it easier to compare one insurance company’s annuity against another than when you’re dealing with annuities that have various layers of fees and complicated provisions than can affect the size of the payments you’ll receive in the future (although you do have to allow for the fact that payments from insurers with high financial strength ratings from companies like Standard & Poor’s and A.M. Best will generally be smaller than those with low ratings). You can compare quotes from different firms and check out their ratings by going to an online annuity brokerage like ImmediateAnnuities.com. Of course, like any investment, immediate and longevity annuities have drawbacks. If you end up dying sooner than you expect, you’ll have shelled out a large sum for a relatively small number of payments, or perhaps no payments at all in the case of a longevity annuity if you die before the payments begin. So, clearly, buying an immediate or longevity annuity doesn’t make much sense if you’re pretty certain you’ll die early in retirement. If you’re married or have a partner, however, you’ll also want to take both of your potential lifespans into account. What Size Nest Egg Do You Need To Support Yourself In Retirement? Another downside is that once you give up your money in return for lifetime payments from an immediate or longevity annuity, you no longer have access to it. So you wouldn’t want to put all, or probably even most, of your savings into such annuities. You’ll want to leave enough of your savings in a diversified portfolio of stocks, bonds and cash to provide liquidity for emergencies and unanticipated expenses, not to mention the potential for long-term capital growth to help you maintain your standard of living in the face of inflation over a long retirement. 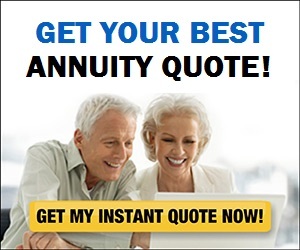 And, of course, you may not need an annuity at all. If the payments you’ll receive from Social Security and any pensions will cover all or most of your essential living expenses, then you may already have all the guaranteed income you need, in which case you can rely on withdrawals from savings to pay any extra expenses. Similarly, if your nest egg is so large—or the amount you’ll have to pull from it for spending needs beyond what Social Security and any pensions will cover—that your chances of outliving your savings are minuscule, then an annuity is probably superfluous. I’m sure Bill Gates, with his estimated net worth of $86 billion, will be able to manage just fine in retirement without an annuity. Or, for that matter, if you just prefer managing withdrawals from your nest egg on your own or with help from an adviser and are confident you can do so without too big a risk of outliving your savings, that’s fine too.